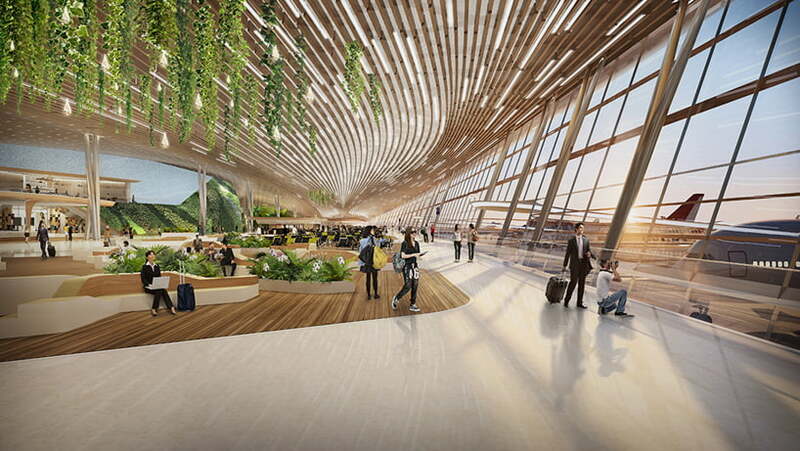 Taoyuan Airport Terminal Three in Taiwan by Rogers Stirk Harbour+Partners, Latest Architecture news coming from Taiwan, About Taoyuan Airport Terminal Three Design by Rogers Stirk Harbour+Partners just beats the foster and UNStudio to build Taiwan airport terminal. 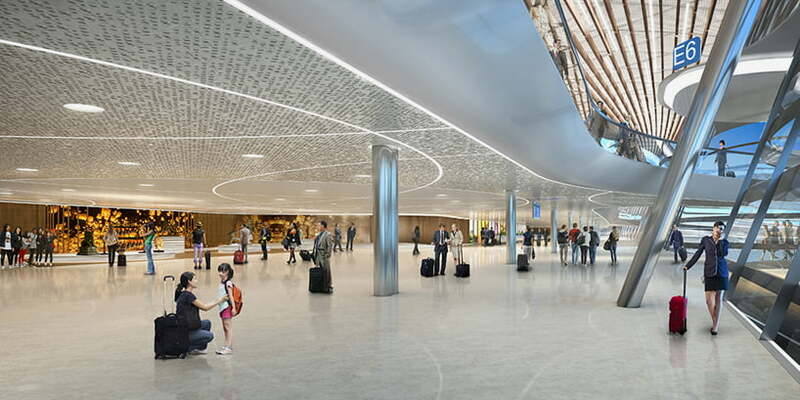 The jury said that it had been impressed with the ‘innovative planning and design’ submitted by RSHP, including an interior that moves up and down to reflect changes in users. 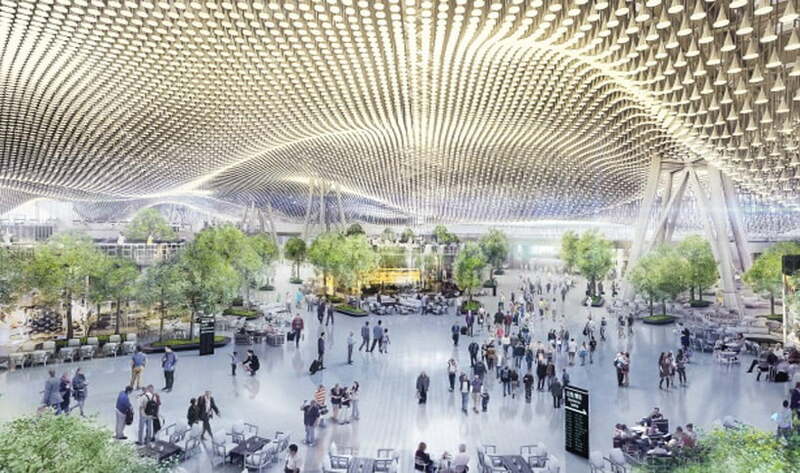 Taoyuan Airport Terminal Three Buildings to be constructed under the project will include a new terminal, boarding gates, concourses and a multi-function building, along with transport infrastructure. 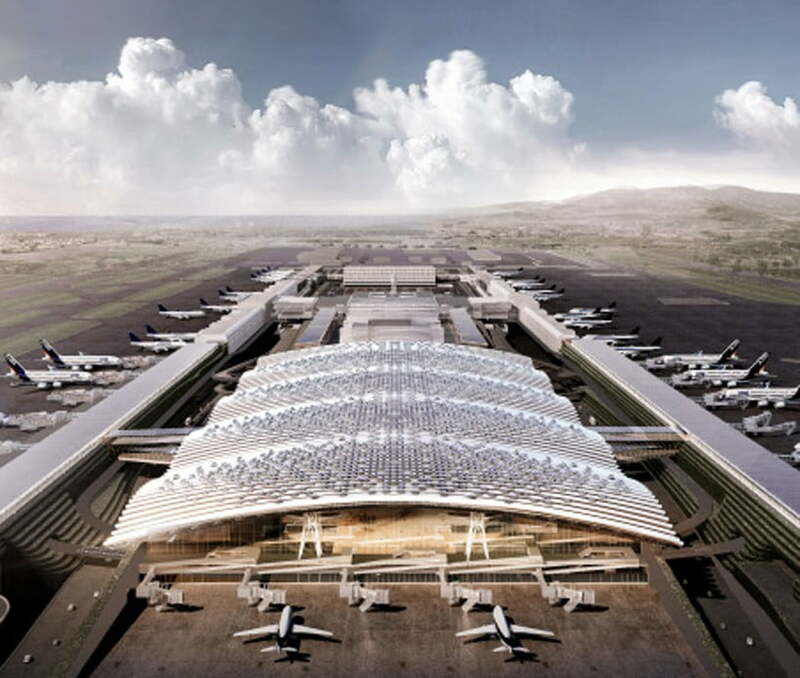 The scheme is the largest of Taiwan’s 10 major construction projects identified by the government, and has a total budget of 74.6 billion Taiwan new dollars (£1.49 billion). 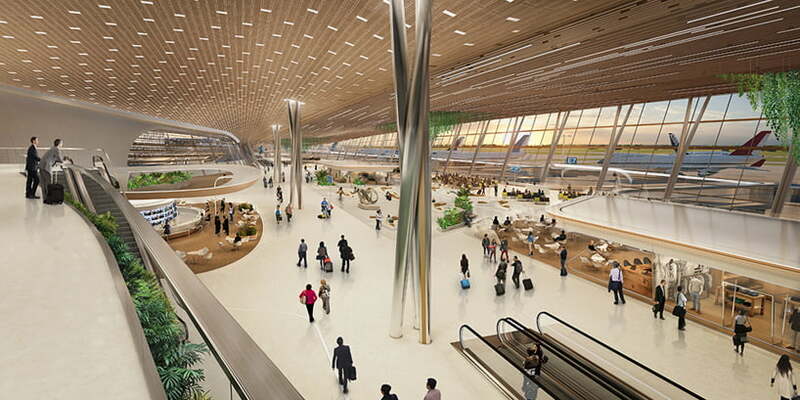 David Fei, president and chief executive of of Taoyuan International Airport Corporation, said the project is aimed at increasing investment in Taiwan and galvanising the Taoyuan economy. 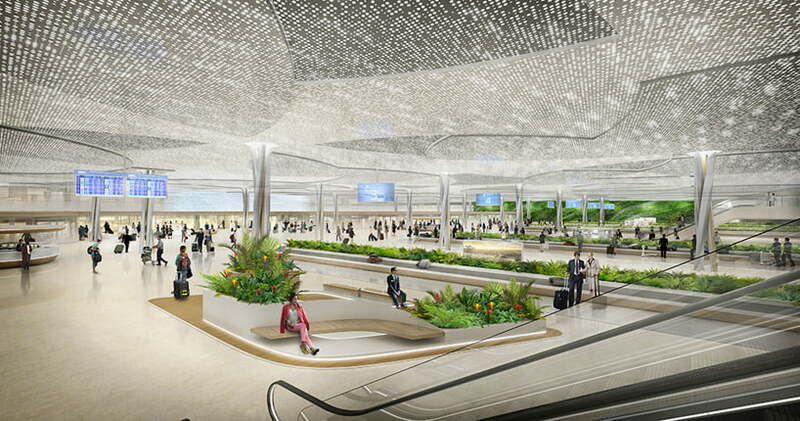 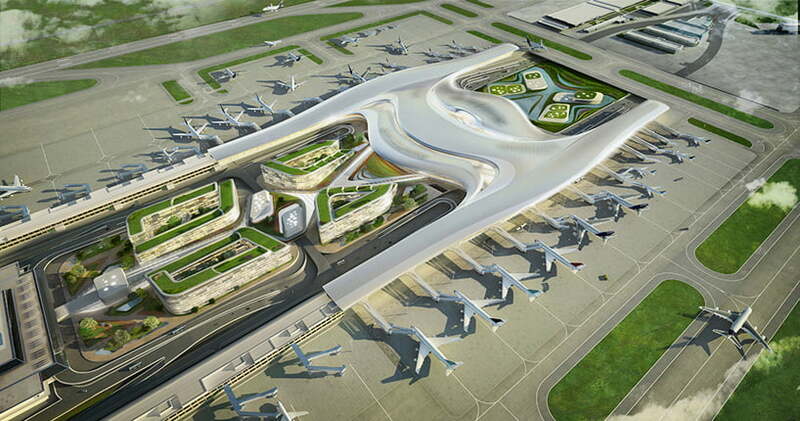 The new 640,000m² Taoyuan Airport Terminal 3 building is planned to host 45 million passengers-a-year. 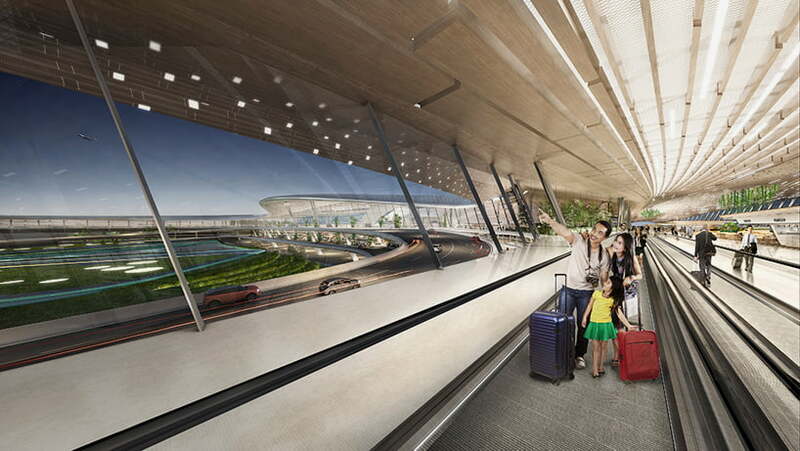 Formerly known as Chiang Kai-shek International Airport, the airport is the largest in Taiwan and the eleventh busiest in the world. 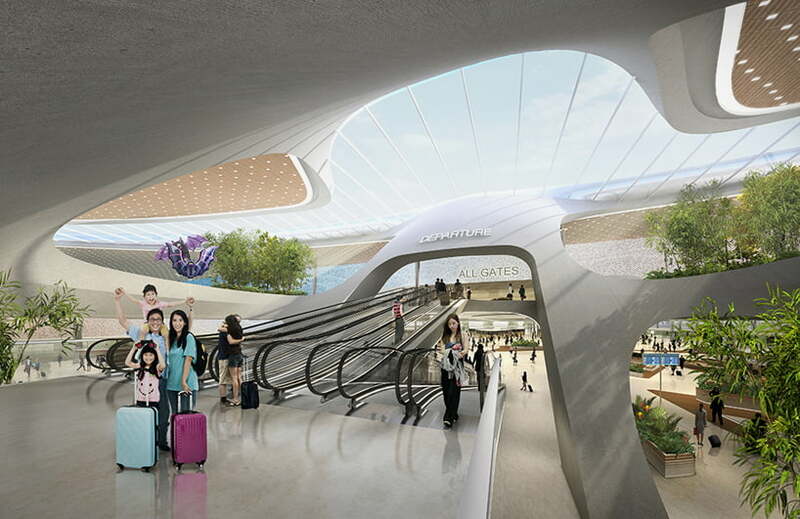 The taoyuan airport terminal three project is scheduled to be completed in 2020. 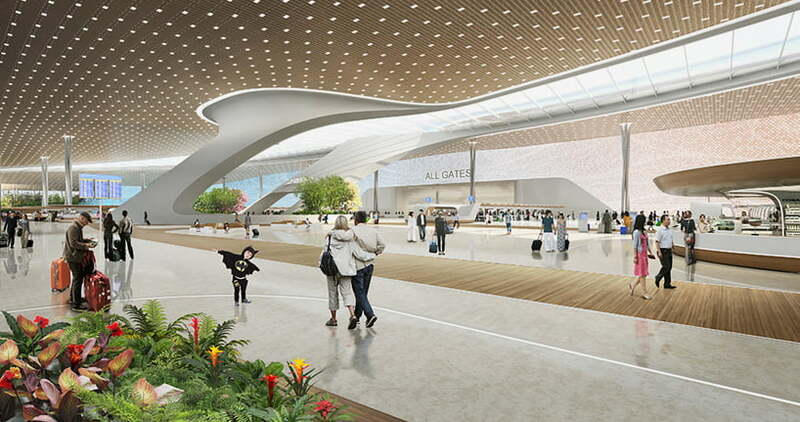 Dynamic design of Taoyuan Airport Terminal Three will inherently enhance the infrastructure, boost Taiwan’s economy and serve the aviation market of east Asia. 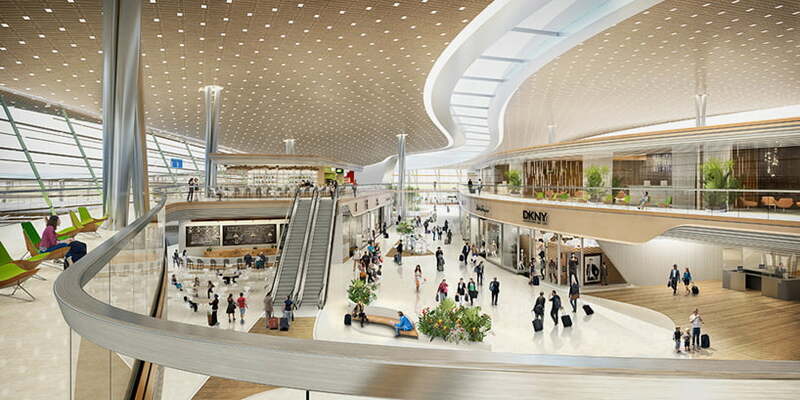 Taoyuan Airport Terminal 3 dynamic proposal will improve boarding efficiency and most of all, establish a unique airport experience with plentiful mixed-use retail and commercial facilities.